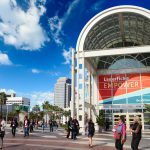 LONG BEACH, Calif. (December 11, 2012)—Laserfiche has set the agenda for its Empower 2013 Conference, which will take place at the Anaheim Marriott in Anaheim, Calif., from January 7-9, 2013. 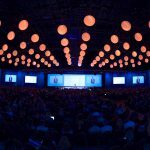 The conference will feature more than 150 educational sessions on everything from deploying mobile enterprise content management (ECM) solutions to automating business processes, integrating electronic forms into your document capture strategy and more. South Dakota Attorney General. 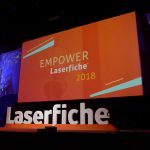 Ross Uhrig, Communications Network Analyst, will discuss how the Attorney General’s office automates the case management process around Consumer Protection with Laserfiche Workflow and digital signatures while paving the way for other divisions like Medicaid Fraud. Mexico’s Camara de Senadores. Eduardo Galván Cruz, Jefe del Departamento de Desarrollo de Software, will share how the Parliamentary Group of the National Action Party in the Mexican senate has implemented Laserfiche and integrated it with Microsoft SharePoint to coordinate information distribution to more than 50 senators and their assistants, who can view documents using mobile devices like smartphones and tablets. Texas A&M Information Technology. Judith H. Lewis, Senior IT Manager, IT Solutions and Support, Computing and Information Services, and Robert Hensz, Risk & Compliance Manager, Internal Management Review & Records Officer, Texas A&M AgriLife Risk & Compliance, will discuss how implementing Laserfiche as a shared service is allowing the Texas A&M University System to reduce costs by eliminating redundant hardware and software systems while enabling sharing of documents and workflows across departments and units. In addition, Gartner’s Kenneth Chin, ECM Research Vice President, will deliver a briefing on the rise of transactional content management; Michael Allen, Laserfiche Software Architect, will discuss the Laserfiche product roadmap; and Nien-Ling Wacker, Laserfiche Founder and CEO, will deliver the kick-off keynote on Monday, January 7.